Does the future of Japanese music depend on streaming services? When music consultant Mikiro Enomoto asked a class of Kyoto Seika University students how they listened to new music last year, he reckons 80 percent of them mentioned YouTube or YouTube-linked sites. When he asked the same question to this year’s class, almost all of them said they don’t bother looking for new music anymore. It wasn’t an exact study — many people are reluctant to admit to using YouTube or illegal downloading sites to hear the latest tunes. Their response, however, will do nothing to calm concerns that Japan’s youth have been turned off by the music industry’s heavy-handed pushback against digital content. The New York Times reported last year that 85 percent of music sales in Japan came from CDs. What that statistic didn’t reveal, however, is that CD buyers tend to be in their 30s or older (“Best of” albums do well here). Or they’re part of intense fandoms: For example, idol-pop group AKB48 has excelled at sales thanks to a devoted fan base who buy multiple copies of CD singles for the chance to receive extras, including chances to meet its members. CD sales in Japan are declining. They went from ¥310 billion in 2012 to ¥254 billion in 2014. The decrease has come even after the government imposed strict penalties in 2012 — jail time or a fine of up to ¥2 million — for downloading copyrighted material. In 2015, however, the Japanese music industry started to fall in line with other markets worldwide and began to push paid music-streaming services. In early summer, two such services launched: Line Music and AWA. 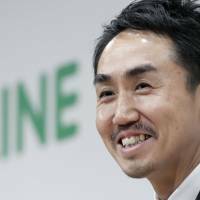 Line Music is jointly run by popular text-messaging service Line and Sony Music Entertainment Japan, the country’s biggest record label. AWA is led by second-largest label, Avex Group Holdings, and the IT company Cyber Agent. Line is, first and foremost, a messaging service that has more than 200 million active users and is popular among teenagers throughout Asia. This gave Line Music a decent head start in the streaming race here, with its app reportedly downloaded 8 million times within eight weeks. AWA boasted 1 million downloads in its first week, but both Line Music and AWA stopped disclosing figures several months after launching. “Most of the free-trial members of both these services didn’t move on to the premium paid service when the trials expired,” Enomoto explains, stressing that conversion rates from “free” to “paid” subscribers remain a problem. 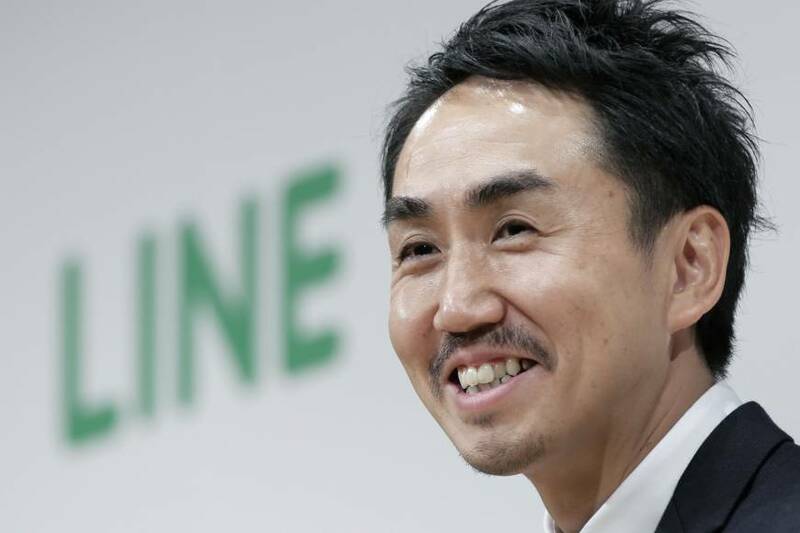 Indeed, Line Music began with a free two-month trial that asked users to choose between two plans after the period ended. The basic plan costs ¥500 for 20 hours per month, while the premium plan costs ¥1,000 with no limitations. Users took to Twitter to vent their frustration over the move. “What!? They want money from us?” tweeted one user. “I’d use it if it kept being free,” said another. Part of the reason Line and AWA put out their streaming services when they did was in anticipation of Apple Music, which launched in July. Apple CEO Tim Cook announced in October that the service had 15 million members worldwide and that 6.5 million were paid subscribers. According to Enomoto, Apple has the highest conversion rate from “free” to “premium” in Japan even when compared to other countries such as the United States and the United Kingdom. This could be because many Japanese users just forgot to cancel their accounts after three months of a free trial, or it could be due to the country’s iPhone obsession — there are more iPhone users than Android users here. Whether it’s love or forgetfulness, Apple Music in Japan is still mainly snagging elder listeners, who are more likely to have credit cards and a taste for Western music. Many popular Japanese acts are still not available on any of the streaming services in Japan. Reaching future fans remains a challenge. These struggles are providing an opportunity for Spotify, the world’s leading music-streaming service. The Swedish company has been waiting patiently to seize on an opening in the Japanese market, but has been blocked by an industry that hasn’t wanted to give up on CDs. A Spotify spokesperson, who asked to remain anonymous because he wasn’t cleared to speak to the press, says the company has once again started negotiating with record labels here to examine the possibility of launching its service in Japan. Out of Spotify’s more than 75 million active users, more than 20 million are premium members. While artists such as Adele and Coldplay have made headlines by not allowing their albums on the service, major Japanese acts are cautiously looking at it as a way to introduce themselves to an overseas audience. The top 10 Japanese artists on Spotify look nothing like the domestic Oricon charts with Ryuichi Sakamoto, Joe Hisaishi, One OK Rock, Babymetal, Kyary Pamyu Pamyu, Mono, Nujabes, DJ Krush, Hikaru Utada and toe all grabbing followers abroad. These overseas introductions are usually made via YouTube, where it’s difficult to police pirated content due to the sheer volume of material on the site. However, Japanese labels disappointed fans overseas this year by restricting access to their content in the anticipation of YouTube Red, a paid monthly subscription that is rumored to launch in early 2016. The strength of YouTube Red would be its customer base, users here are said to comprise the website’s second-largest audience in the world (after the United States). Sources at YouTube, who wished to remain anonymous, say the company has already surveyed its users in Japan and found they would be comfortable paying a monthly fee of around ¥300 for the service. Additionally, faced with a consistent blockade of idol-pop and Johnny’s boy bands on the top of the Oricon charts, many newer artists think streaming is the only chance they have to make a dent in the music scene here. Speaking to Switch magazine, Kom_I from the group Suiyoubi no Campanella said that the streaming services will be important in the future of Japanese music. She’s not alone, Ichiro Yamaguchi of the band Sakanaction and producer Tetsuya Komuro have spoken in favor of some form of streaming music. 2016 will be the year when Japan tests whether it can finally move from CDs to digital services, and it will be worth watching particularly closely how any domestic attempts fare against the foreign competition. The streaming debate is set to continue into the new year. Not only will we see if listeners accept a new model that has them paying for digital music, but we should be able to tell if a Japanese firm can be at the forefront of this momentous change in the music industry. For his part, Enomoto still holds out hope for Line Music.